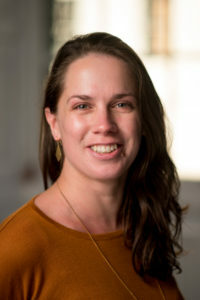 Catherine Gilbert is a Marie Curie Postdoctoral Research Fellow at Ghent University working on a project entitled “Genocide Commemoration in the Rwandan Diaspora,” which investigates the impact of place and displacement on commemorative practices within diasporic communities. More broadly, her research interests lie primarily in postcolonial African literatures and cultures, with a particular focus on cultural memory, trauma and narrative. She recently published her first monograph, From Surviving to Living: Voice, Trauma and Witness in Rwandan Women’s Writing (Presses universitaires de la Méditerranée, 2018), which analyses the published testimonies written by women survivors of the 1994 genocide against the Tutsi. Other recent publications include an article in the Australian Journal of French Studies special issue on “Mobility and Migration” (2018), and chapters in the edited volumes Rwanda since 1994: Stories of Change (Liverpool University Press, 2019; forthcoming) and Translating the Postcolonial in Multilingual Contexts (Pulm, 2017). Catherine obtained her PhD in French and Francophone studies from the University of Nottingham in 2014. She has subsequently held postdoctoral research and teaching positions at the University of Nottingham; the School of Advanced Study, University of London; and King’s College London. From 2017 to 2018 she was a Postdoctoral Research Fellow at the University of Oxford convening the Mellon-Sawyer Seminar Series “Post-War: Commemoration, Reconstruction, Reconciliation.” She is currently co-editing, with Professor Kate McLoughlin and Dr Niall Munro, a volume developed from this series, On Commemoration: Global Reflections upon Remembering War (Peter Lang, 2020).